This booklet was compiled by staff at Tower Hamlets Local History Library and Archives as part of an ongoing project to fill gaps in its collections and ensure that the council's archives reflect the histories of Bangladeshi residents. The biographies and profiles contained within this booklet are intended to illustrate just a few of the stories that form part of the history of the Bengali East End. 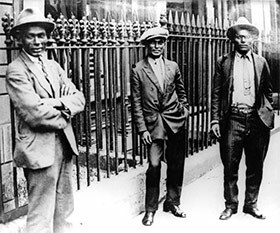 Included are profiles of people who live and work in the borough today, or people who, both long ago or in the more recent past, played a significant part in the establishment of the Bengali community in Tower Hamlets. 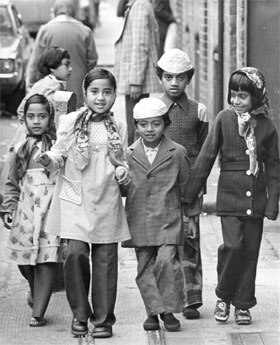 This is by no means a definitive collection, and the archive continues to seek out the evidence of Bangladeshi experience in Tower Hamlets in all its breadth and variety. The opinions expressed in the testimonies collated in this booklet belong to the individuals concerned, and not to Tower Hamlets Council. 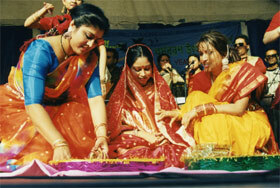 The biographies are contextualised with a brief introduction to the history of Bangladeshi people in Tower Hamlets. Details of archive and local history sources which reflect and illustrate the presence of Bangladeshi people in the borough are also included.